We will start with the Barvino Corkscrew. This is best waiters-styled corkscrew I have ever owned. It is very well made and it is really sturdy. It’s a great deal at $13. The recipient will love it! My next suggestion is Wine Away. This is the best wine stain cleaner that I have ever come across. This product works great on red wine stains. A good-sized bottle costs less than $10. The only problem is that you still need to change your shirt after you use it, otherwise you will smell like a tangerine for the rest of the night. But it works great! Any great gift is the Riedel microfiber polishing cloth. It is just terrific for cleaning stemware, which is my least favorite thing to do. That said, this cloth makes its barrable. I get a new one every year for Christmas. It is a must purchase and it is also less than $10. So be sure to get one and make sure all your stemware sparkles in 2018! My next great gift idea are two documentary movies on Wine. The first is Somm. It is about four men who will do just about anything to pass the most difficult test you’ve NEVER heard of… The Court of Master Sommeliers, massively intimidating Master Sommelier Exam. I thoroughly enjoyed this movie and their journey. The follow up movie is called Somm: Into The Bottle. In this movie, viewers are taken beyond the exam and into the world of famous winemakers and sommeliers as they unravel what makes wine the most compelling beverage. I thought it was a great follow up and if you are into wine, you will really enjoy it. My last stocking stuffer idea is the a daily wine calendar. Who wouldn’t want one of these. A wine thought or word everyday! Check out this 2018 Daily Wine Lover’s Calendar for less that $11. So these do not fit in a stocking, but you should not forget a set of wines glasses for the wine lover in your life. You can’t miss with Spiegelau. They are durable and affordable. We use these with the Tasting panel. Here is a set of 4 Vino Grande Bordeaux Wine Glasses at a reasonable price. I do believe a very good glass is necessary to fully enjoy the wine you serve. Swirling the wine to open up the aroma’s and enhancing the taste through aeration is a must! To see all the other Wine Gifts and Accessories that I recommend, check out our wine gifts page on the website! Additionally, I get asked a lot around the holidays for Wine Books recommendations. So here are three wine books for all levels of wine lovers. The first two books, are a great place to start for new wine lovers. We will start with the newest book that will likely become a classic. Madeline Puckette’s Wine Folly: The Essential Guide to Wine for $20 is very good. It uses unique infographics that help readers understand the basics of wine. It answers many of the questions new wine lovers have about wine. For me, the three things I really like that she covers in this book are detailed maps of wine-regions, a nice guide to pairing food and wine, and she has a very good grape flavor profile charts. The next terrific book is the “Windows on the World Complete Wine Course” by Kevin Zraly for $18. Kevin has sold over 3 million copies. Enough said! Kevin is the ultimate wine educator. This book is set up like a basic wine course textbook. It covers the wines of the world from Bordeaux and California. It is a great wine guide. The 2017 edition updates the latest vintages. It also gives you all the tools you need to discover and enjoy the great wines of the world. My last recommendation is the deepest offering of the three. The 2nd Edition of the Wine Bible by Karen MacNeil. This the ultimate wine book. It is by far the most informative and detailed book on wine that I have read. I use it as a resource all the time. If you have a question about wine, it is very likely covered in great detail in this book. I would say this one is more for a true wine geek vs. a beginner. You can get this gem for $14 on Amazon. It’s a steal! 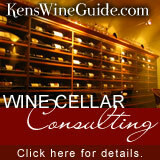 To see all the other Wine Books and DVD’s that I recommend, check out our wine books page on the website! My last recommendations of course is some High End Red Wine! Each year the Tasting Panel gets together to review High End red wines before the holidays. These are super premium wines over $50. They make great gifts for the true wine lover in your life. I have listed our Top 10 Finishers in our last blog post. Be sure to check them out. The Krupp Brothers 2014 M5 Stagecoach Cabernet is Outstanding! To see all of our recommended Collectible Wines over $50. Check out our Collectible Wine Page. It is sorted by type of wine. Have fun and happy hunting. anyone would love to receive any of these gems!